Form Factor: Works with non-UHS, UHS-I, and UHS-II SDHC and SDXC cards. Micro SDXC. It works with UHS-II cards and is backwards compatible with other SD cards. SanDisk Ultra. MicroSD / SDHC. Secure Digital SDHC. See the photos for exactly what you will receive. Support: SD SDHC SDXC MMC. Type I CF design. 1 x SD To CF Type I Card Adapter (SD card is not included). Interface: CF Type I. A high-speed CF card interface, ensure the speed with almost no loss. Supports Wi-Fi SD card. The Hoodman Steel31 Dual Slot Reader provides fast and reliable downloads for improved workflow. Form Factor: Works with non-UHS, UHS-I, and UHS-II SDHC and SDXC cards. Micro SDXC. - Optimized for SanDisk SD UHS-II cards. SanDisk Ultra. MicroSD / SDHC. Secure Digital SDHC. 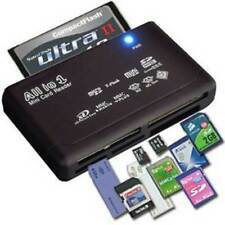 - Single slot SD UHS-II card reader/writer. 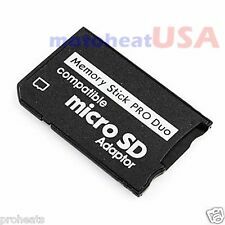 1 x Micro SDHC / TF Card To SD Card WiFi Adapter. 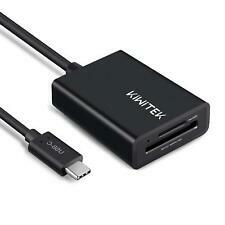 Note: WiFi adapter ONLY, micro SDHC / TF card not included. WiFi@SD settings: WiFi password, AP Mode and Station Mode switch, IP, channels, number or users, SSID. 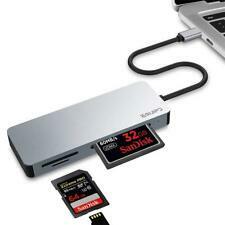 Support Micro SDHC, SDHC, SDXC, compact flash & micro card. SD slot: SD, SDHC, SDXC, Mini-SD, SD Ultra, SDC. CF slot: CF, CF Ultra II, Micro Drive. 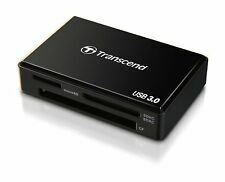 WITH STORAGE BOX:Universal card reader ALL-IN-ONE USB 3.0 with box for Compact flash, SD and microSD cards. 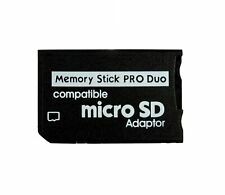 Adapter for converting microSD/microSDHC memory card to a full size SD card, for use in a standard card reader, digital camera or other devices. Supports cards up to 16GB capacity. You have to insert your own SD SDhc SDxc Card to get storage capacity. 1x SDXC SDHC/SD to Type I CF Card Adapter. Supports SD cards with various kinds of form factor, including SDHC/ SD/ miniSDHC/miniSD /microSDHC/ microSD/ TransFlash. Need to use your microSD card in an SD card slot?. It features a built-in write protection switch to keep your data safe! Sandisk MicroSD to SD Adapter. Input: MicroSD. ‣ Keyboard / Mouse. Output: SD. Use these cables to attach a SDHC or SDXC card to a device. that has the SD card slot in a hard to reach place.